DNCB Outing No. 2014-51 around Boundary Bay at 72nd St.
Fifteen DNCBers enjoyed a glorious, sunny, Monday morning walking the Boundary Bay Regional Park dike path at 72nd Street. Lots of hi-lites including: Townsend’s Solitaire, Golden Eagle, Yellow-rumped Warblers, Sparrows including Lincoln’s and a sun tan. There are some beaut photos (by Liz, Marion, Terry, Jim) on our DNCB Picasa site. 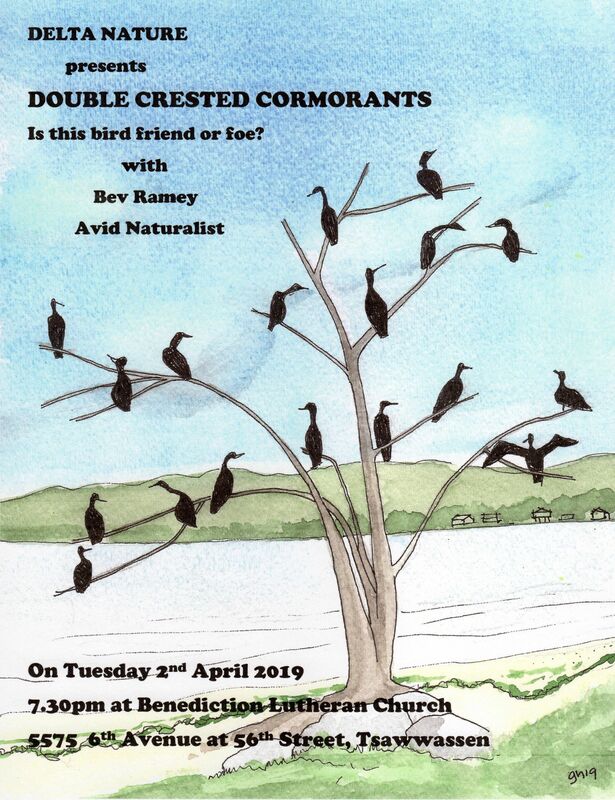 DNCBers love their names in print, the 15 were: Terry & Roger, who both left early for grand-parenting duties, Bryan & Janet, Rob & Marylile, Alan & Liz, PB Lorna, Deborah, Jimmy K, Kay, newbie Pt. Roberts Rose, Marion and me. We started at Petra’s at 8:00 a.m. and walked across the road to Terry’s Condo where “his” Townsend’s Solitaire has been staying for the past several days. The bird posed on his tree as if it was planted there. For some DNCBer’s this was a Lifer. Then we convoyed to 72nd Street and 36th Avenue where the inmature Golden Eagle was posing in his tree as if he knew we were coming. Another lifer for a few. The bird flew around a bit, with some entertaining interaction with the several Bald Eagles there too. A friendly birder-photog on the street took our Group Photo (with the GE in the tree behind us) before Roger took off for domestic duties. We then parked at the end of 72nd to walk the dike path. We did not see any Palm Warblers or Tree Sparrows (seen last week) among the many “Oregon” Juncos, House Finches, Robins, Spotted Towhees and Sparrow species (Song, White- and Golden-crowned) in the bushes. The sun was brilliant and the vistas both over the Bay toward Mt. Baker and back north at the snow-covered mountains were stunning. 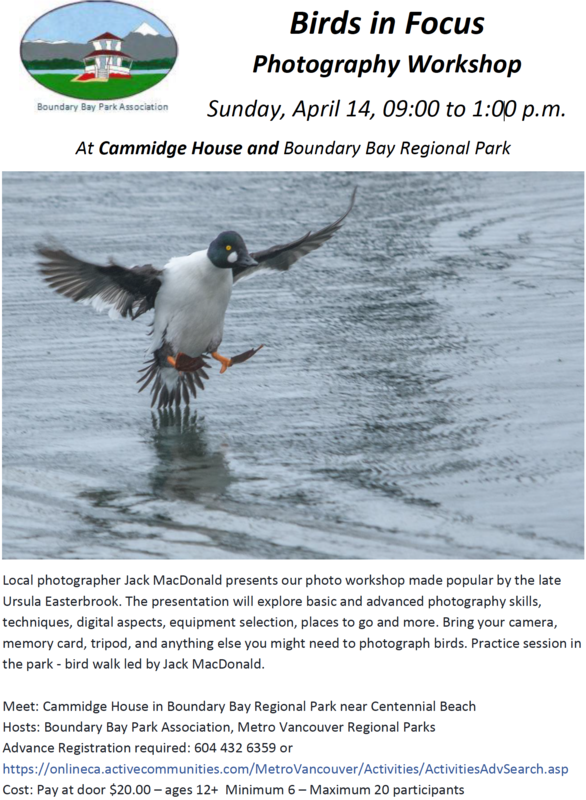 It was neat to see this multi-purpose Park being used by so many diverse interests, including us birders along with, dog walkers, cyclists, photographers, horseback riders, joggers, families, and even a couple of Hunters picking off the ducks along the shore (no kite surfers seen today). We decided to walk west because Lordly Marion said so. The resident Northern Harriers were gliding around and Red-tailed Hawks were on the wires, but we did not awaken any Short-eared (or Long-eared) Owls. A small flock (6-8) of Yellow-rumped Warblers caught our attention flitting in the reeds near the path. I think both Audubon’s and Myrtle races were among them. Then a bit further, a couple of Lincoln’s Sparrows were scratching in the grass. Northern Flickers (Red-shafted and hybrids with eastern Yellow-shafted) watched us as we watched four Purple Finches eating berries in a Hawthorn bush. Some saw Marsh Wrens and Savannah Sparrows. Looking out over the Bay, large swarms of Dunlin sparkled in the sunlight as they magically weaved back and forth (murmuration?). Then a few Western Meadowlarks flitted in the marsh, landing on distant stumps. Interestingly, there were lots of logs between the path and shore, obviously brought in by the recent large tides. I wonder what Metro Vancouver Ports thinks after recently spending so much time, effort and money cleaning out the logs along this shoreline. 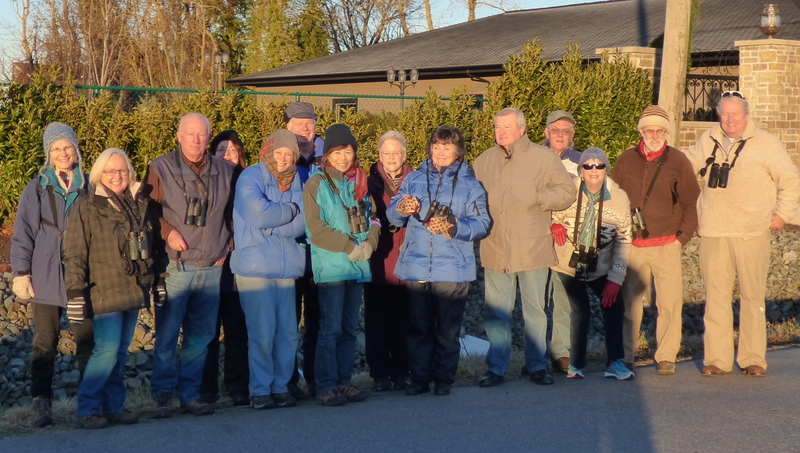 Some of the group continued further along closer to 64th St., and saw the Hooded Mergansers, Northern Shovelers, American and Eurasian Wigeons in the pond near the greenhouses. The group got separated as some went back earlier to their cars. As a result, I missed out on PB Lorna’s Peanut Butter sandwich. Nonetheless, despite the pains of starvation, it was a magnificent morning of birding in our Delta paradise. (Note: The Ladner Christmas Bird Count (CBC) is again Canadian Champion at 141 species on Sunday, Dec. 21, one more than Victoria). We are changing to Tuesdays for our DNCB outings (my Grand-parenting Daycare is Mondays). I will be at Petra’s next Tuesday, January 6, for departure at 8:00 a.m to Blaine and Semiahmoo (bring Passports). Our webmaster Ken has already put the list of future DNCB Destinations for each Tuesday during January and February on the DNS Upcoming Events page. Check out the Blog for more awesome reports, Delta Nats info, and additional photos. 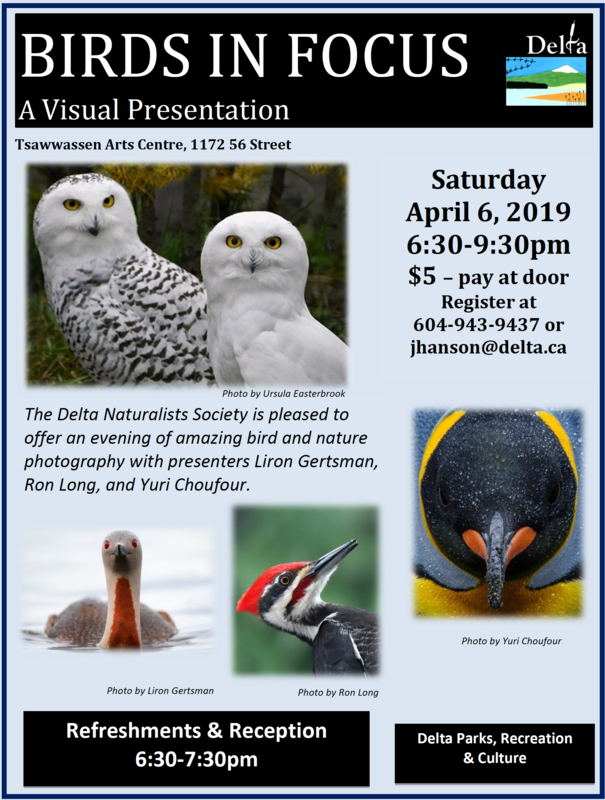 This entry was posted in *DNCB, 72 Street, Bald Eagle, Boundary Bay, Eurasian Wigeon, Golden Eagle, Lincoln’s Sparrow, Northern Harrier, Red-tailed Hawk, Townsend's Solitaire, Western Meadowlark. Bookmark the permalink.